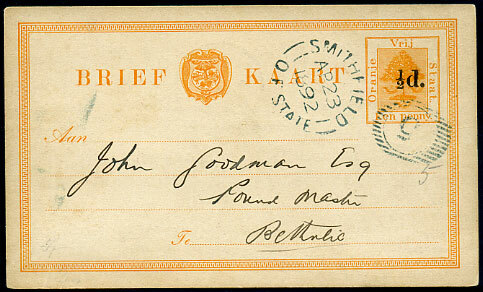 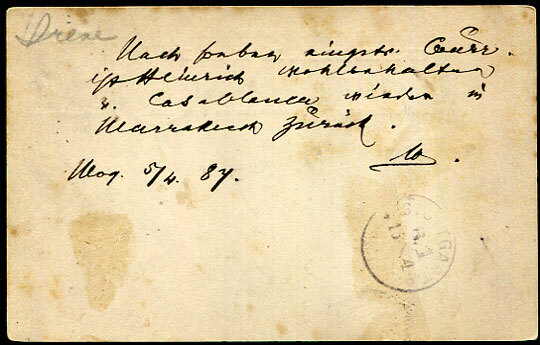 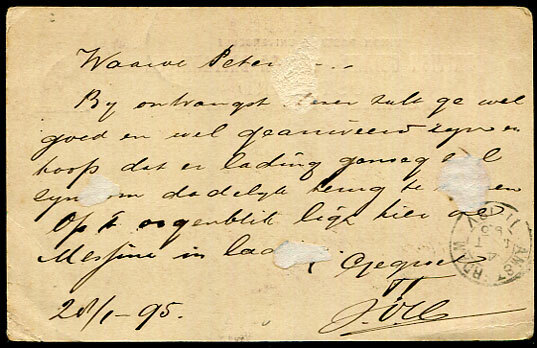 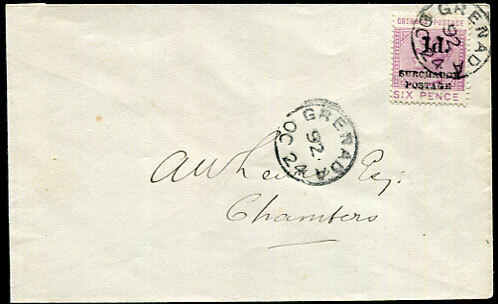 1888 cover with 10 CENTS on QV 4d mauve (SG.40) to Berlin, Germany pmk'd "O" obliterator in combination with BELIZE/JY 9 88 cds. 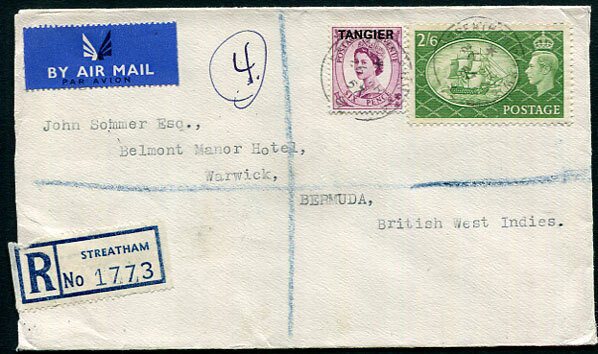 This stamp has a normal 9 months short life pmk’d “O” obliterator in combination with BELIZE/date cds (Proud D6 recorded MR 20 88 to MR 12 89, this being the earliest cover dated JY 9 88). 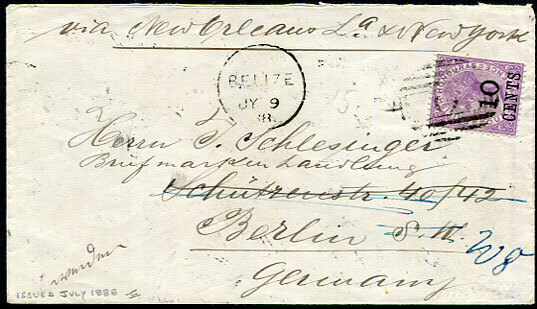 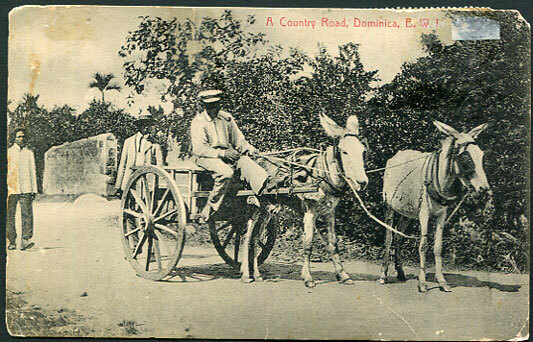 The stamp has a longer life pmk’d “O” obliterator in combination with BELIZE cds (D7) from AP 18 89 until replaced by the 6c rate in March 1891. 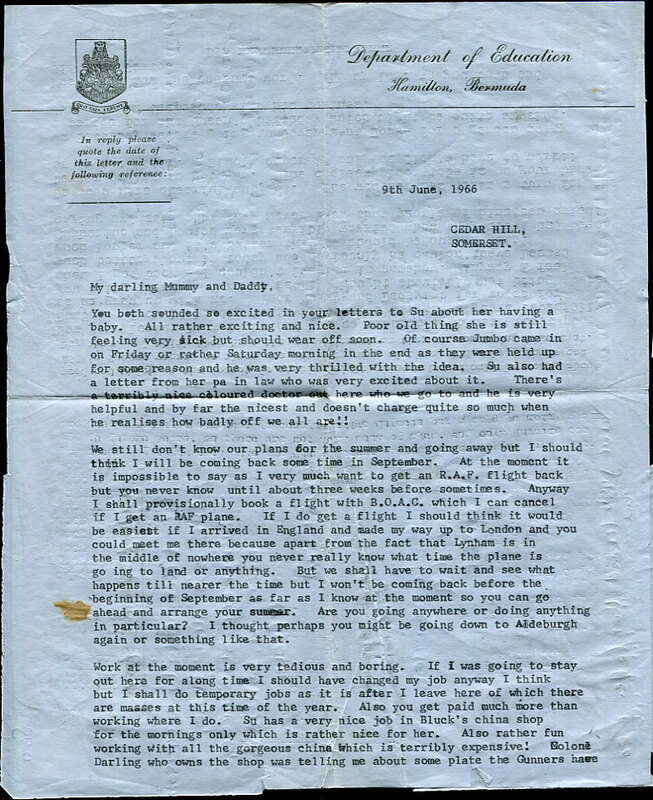 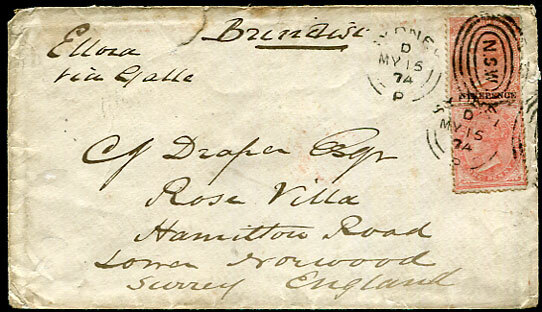 (T.1) arrival dated reversed C/AP 7 91 (year error for 01) on TRANSVAAL 1d V.R.I. 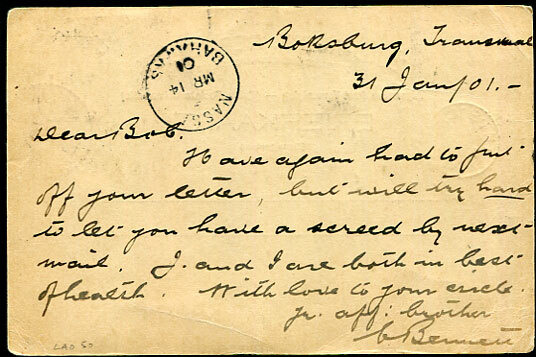 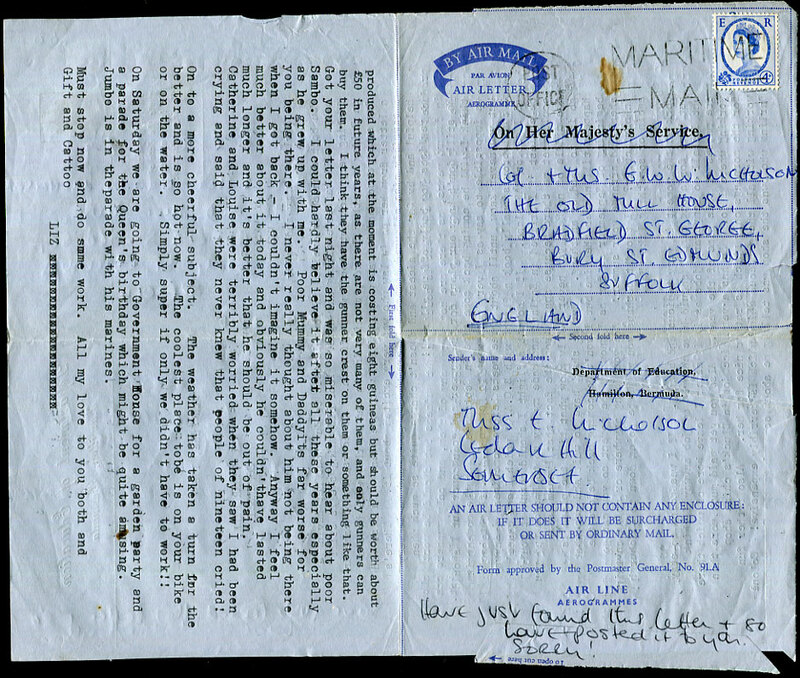 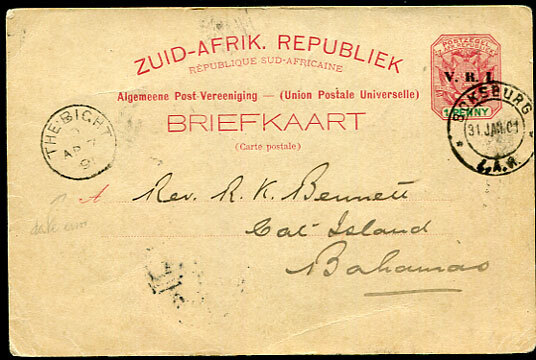 Briefkaart pmk'd BOKSBURG 31 JAN 01 from affectionate brother to Rev. 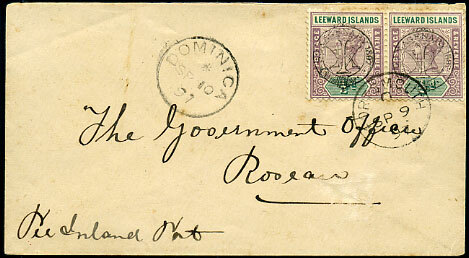 R.K. Bennett, Cat Island, Bahamas. 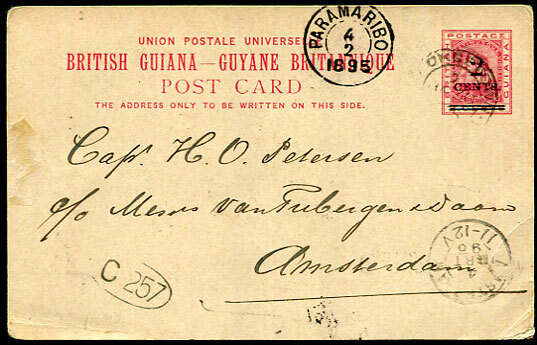 During his tenure as Rector (1912) of St. Mary's Church New Providence Reverend Bennett documented changes that met resistance in the church - altar curtains looked at with disapproval, altar lights seen as an unpardonable offence, wafer bread thought of as an insult to the Blessed Sacrement etc. 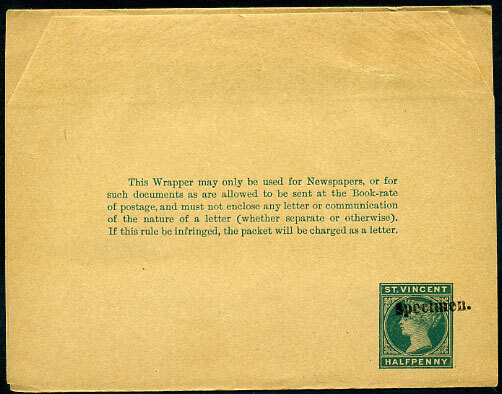 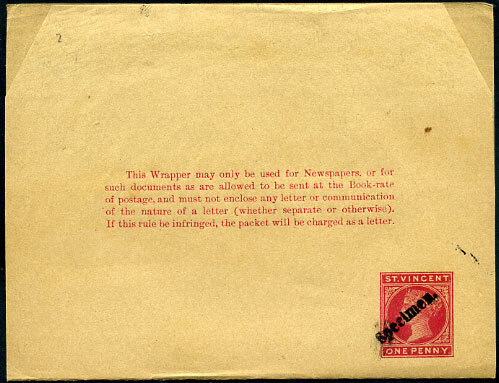 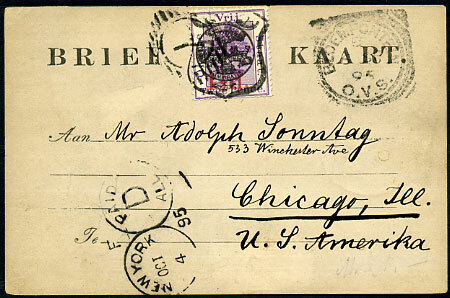 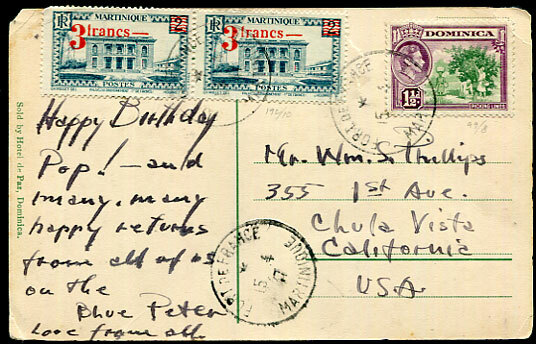 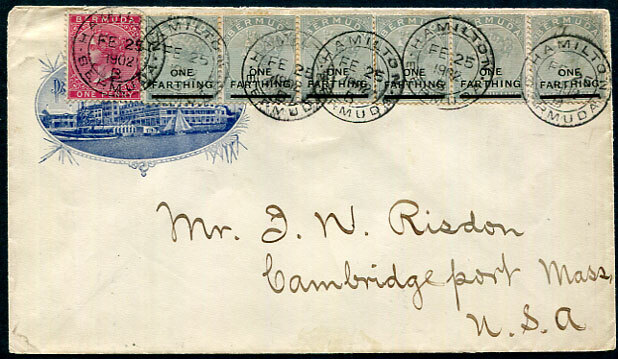 1901 cover dated "3/8/01" at top in red ink with 1d V.R.I. 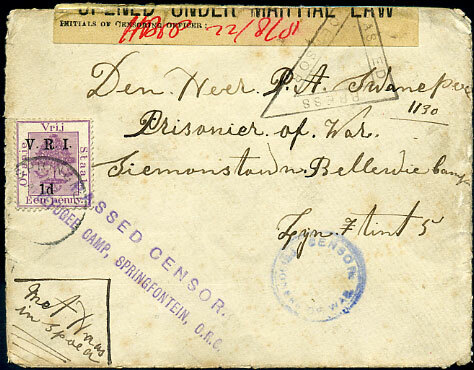 to Paarl, interesting circled red "X" on address panel. 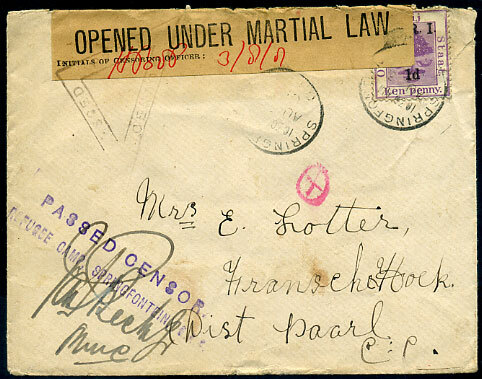 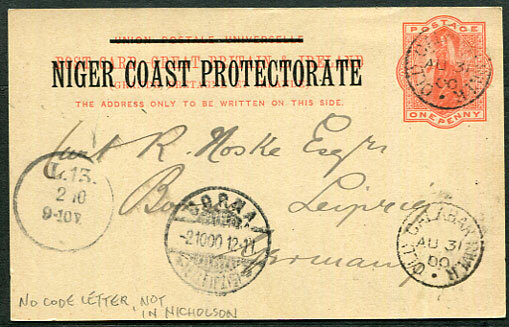 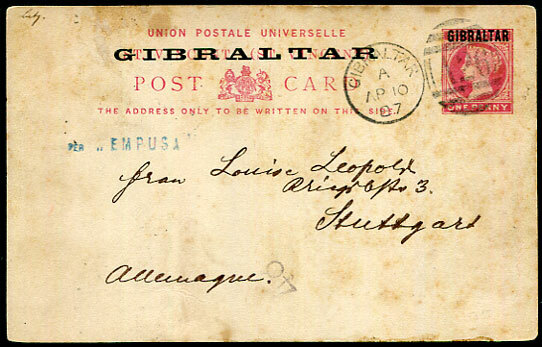 1901 cover dated "22/8/01" in red at top to Simons Town with 1d V.R.I. 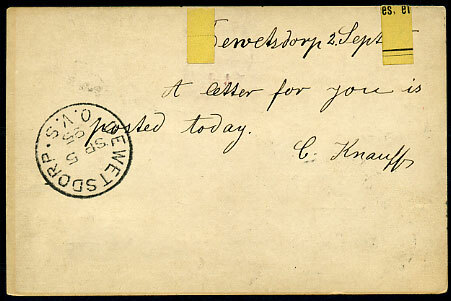 pmk'd Springfontein cds. 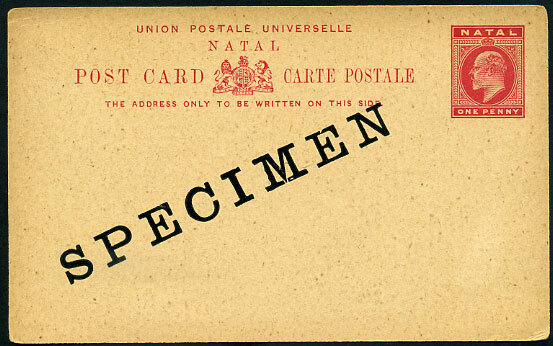 KGV 3d PSRE ovp'd "SPECIMEN", fine unused.